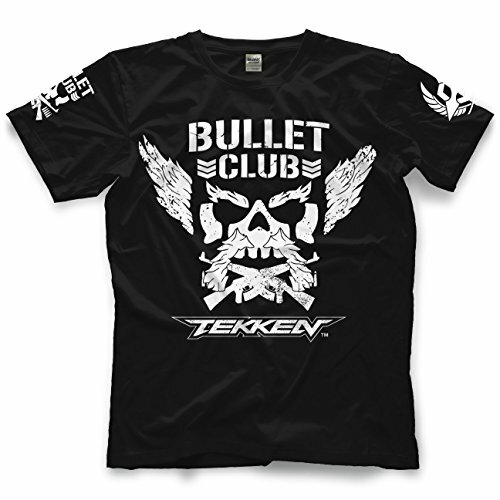 OFFICIALLY LICENSED New Japan Pro-Wrestling Bullet Club x Tekken T-shirt - printed with water-based inks on a Black soft-style tee shirt for men (unisex basic t-shirt). Printed on the highest quality combed ringspun cotton and printed with eco-friendly ink for a super soft feel. Search "Pro Wrestling Tees" for our complete catalog! 100% High-Quality Soft Ringspun Cotton. If you have any questions about this product by Pro Wrestling Tees, contact us by completing and submitting the form below. If you are looking for a specif part number, please include it with your message.